I love the internet and how it made things accessible in ways that are hard to explain for those that didn’t live before internet. This post is an example. As a fan of graphic design I was always exploring ways to create things in Photoshop. You can go to our Tutorials section and you will see that there are many examples of things like neon light, smoke and marquee light bulbs. 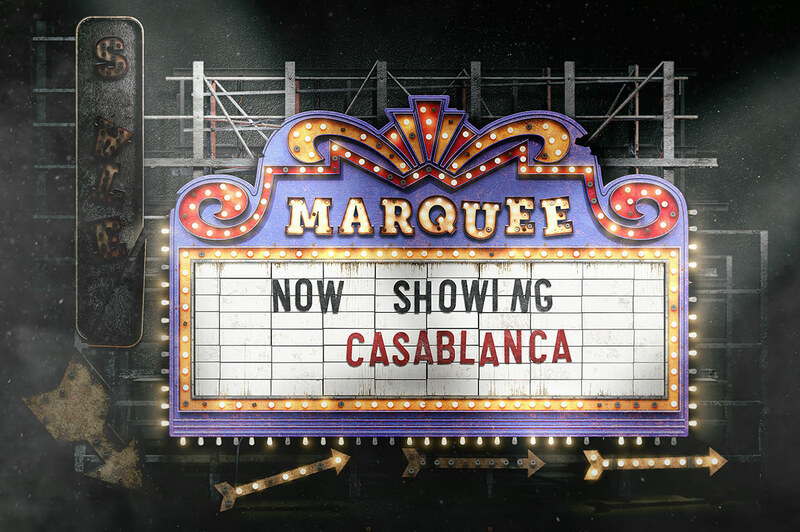 Nowadays you can find everything pretty much done for you, like the Marquee Light Bulbs – Front View 3D assets that Peter Olexa and Pete Deeezy shared on their Behance profile. It has everything you need to create your composition with those elements. I know it might not be the same thing than creating something from scratch, but in my opinion graphic design is about communication more than recreating the wheel. Download small sample from this bundle for FREE with extended license here!